Home flooding can be expensive. From a broken appliance to a leaky roof or burst pipe, a situation can quickly go from a minor problem to a serious incident. It’s also surprisingly common; in an Ooma survey, we found that 74 percent of Americans have had flood or water damage in their homes. Whether it’s small leaks or several feet of water, the costs and pervasiveness of home flooding made us curious about the statistics of flood damage and if smart water sensors can help. Here’s what we found out. Home flooding is caused by a wide variety of things. However, the majority of flooding problems are due to plumbing. From frozen pipes to blocked drains, plumbing accounts for 45 percent of home floods, and a plumbing problem can quickly get out of hand. A ⅛-inch pipe crack can leak 250 gallons of water each day. Appliances are the next biggest culprit. Hot water heaters, dishwashers, sump pumps, and other appliances account for 26 percent of all home floods. Note that sump pumps are often installed at the basement or ground floor level of a house to prevent interior water or flood damage. So a failed sump pump is just like having no flood prevention at all. When your home has a water problem, you can quickly get the secondary problem of mold. In fact, mold begins growing within 24 hours of having standing water. Additionally, 14 percent of flooding situations include a loss of communications. This could be from power lines down after an environmental disaster or when house power has to be shut off because the water levels are high enough to reach power outlets or other electricity sources. The cost of a flood in your household will be unique to your situation and circumstances. However, our survey reveals that average costs start at $400 and extend to more than $12,000. Flood insurance is not typically included in your Homeowner’s Insurance policy or Renter’s Insurance policy. And, while 77 percent of people are worried about flood or water damage in their homes, only 33 percent carry flood insurance. Many consumers are leveraging today’s smart home technology to help protect their homes against flood damage. For example, the smart water detectors that are a part of Ooma Home smart security system can monitor your home and alert you of unexpected flooding or leakage. The detectors can be mounted under the sink or anywhere you have a flooding risk. When they detect water, you’ll receive an automatic notification on your smartphone via the Ooma Home app. With an integrated high-tech water detection system, you can carry a little peace of mind in your pocket. 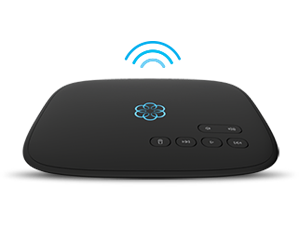 Ooma Home’s Secure Plan costs just $3.99 – $4.99 per month and includes the ability to connect with an unlimited number of security sensors and devices, including water, door, window, motion, garage door, siren, and video. The service also includes full integration with Nest Protect smoke and CO alarms. Plus activity notifications are available via SMS, phone call, email, and mobile app. Not only does it support multiple simultaneous app users, but it also offers remote 911 to access your local dispatcher. 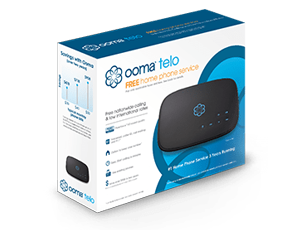 For those who prefer to take a DIY approach, Ooma Home’s Monitor Plan is FREE with Ooma phone service. While there are limits on the types of notifications and security services, all Monitor Plan users can still integrate an unlimited number of sensors and receive notifications via mobile app. Using a smart home security system for water detection gives you the advantage of time. With immediate notification, it’s possible to take steps to get a water problem under control or to mitigate any damage. Immediate notification can add up to big savings. Those who wish they had received notifications about their flood had an average of $1,404 in damage. Could some of that have been prevented by using an Ooma Home water detection system? We think so.